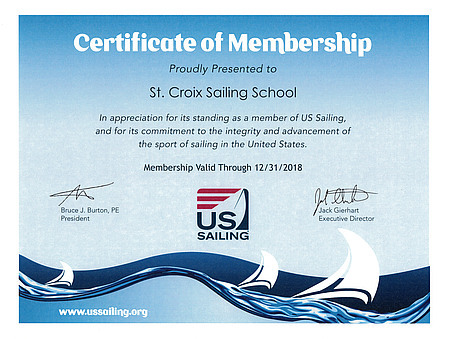 Saint Croix Sailing School is a proud member of US Sailing! Sailing is a blast, and it’s more accessible and affordable than you may think! The Saint Croix Sailing School Inc. (SCSS) is all about encouraging and promoting the growth of junior sailing in the St. Croix River area. Focused on children and teens from ages 6 through high school, SCSS is founded on the premise that sailing is unique in the developmental opportunities it offers to young people. In addition to sheer fun and the opportunity to develop life-long boat handling and racing skills, sailing builds character through its time-honored emphasis on self-reliance, teamwork and sportsmanship. Early in 2008, a group of long-time St. Croix River sailors starting talking about a sailing school for the youth of the area. As the word spread, the group expanded, demonstrating that support and enthusiasm for the school was broader and deeper than expected. Pieces began to fall in place, and volunteers stepped up to tackle the many tasks of launching such a venture. Benefactors volunteered support even before being asked. It became clear that the time was right to finally establish youth sailing as a permanent fixture of the St. Croix River. The founding group organized the school as a Wisconsin nonprofit corporation and has been granted I.R.S 501(c)(3) (nonprofit) status (similar sailing schools in other areas also have such status). The all-volunteer board has made affordable access a priority of the school; to that end, both initial and future equipment costs will be paid through donations. This approach, as opposed to building equipment costs into class fees, will keep costs for students as low as possible. Safety is the number one priority of the school. All instructors will follow US Sailing curriculum as well as complete Red Cross CPR/first aid training. A water-front director will man the school’s shore facility at all times while classes are underway, including monitoring real-time weather radar. If conditions become questionable, all kids and boats will be moved off the water and to a secure storm shelter if necessary. After safety, our next goal is fun. The school will utilize structured curriculum developed by US Sailing (the governing body of the sport of sailing in the US) that is designed to engage kids in fun and entertaining ways while delivering the lessons that will produce skilled sailors. Expect to find a very positive environment where everyone is respected, encouraged and challenged.